Vacuum cleaners promise order and cleanliness, but they can also be infuriating. Like most appliances designed to expedite chores and ameliorate messes, their malfunctioning can have an adverse effect. Rage. Despair. Bitterness toward an errant paper clip or that hairball/quarter combo that undid your Dirt Devil. Broken or poorly made domestic appliances are nuisance compounded, which is why, when you’re serious about simplifying your life, it’s a good idea to invest in a quality product. While there is no such thing as a perfect vacuum, at least in physics, there are a number of near-perfect models designed to obliterate the plenum of filth in your home. Finding the right machine has a lot to do with your personal needs. First and foremost you must decide between a canister and an upright. Canister vacuums are lighter and less cumbersome, making them easier to maneuver up stairs and around tight areas, and their low profile and multifaceted attachments allow them to get around and clean furniture easily. However, some people find dragging the unit behind them to be awkward, and prefer uprights. Uprights generally have larger bags, and the more enlightened ones, like Dysons, have incredible power and suction, but canister vacuums with HEPA (high efficiency particulate air) filtration systems tend to leak less dusty air back into the environment. 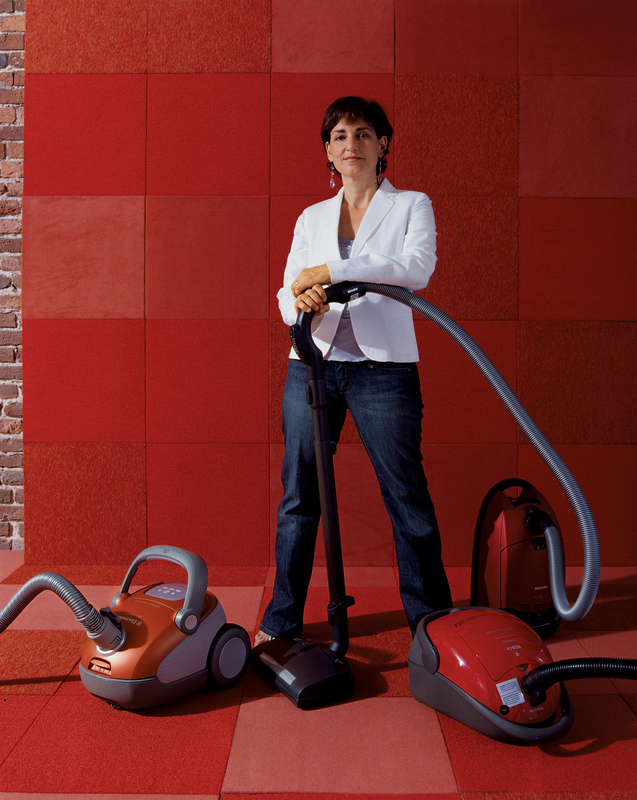 However, most important, canister vacuums are the preferred choice of Laura Guido-Clark, creative director of InterfaceFLOR and an industry expert on “skin”—the manufactured variety. We asked Guido-Clark to help us discover which canister vacuums would do the best job sucking up the amalgam of fibers and threads that litter her studio. While she can’t help but linger bemusedly on the look and finish of each vacuum, she certainly knows that at the end of the day, it’s about performance. Luckily, the two aren’t always mutually exclusive.